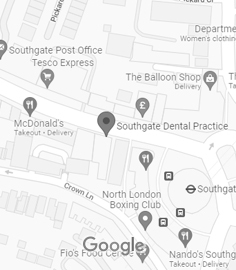 We have been treating patients at the southgate referral practice,on a referral only basis since 1997 and over these years working with hundreds of colleagues we have established a protocol ensuring the needs of both patient and referring dentist are fully met. We are aware that your patients have a finite budget and we will always be conscious of sensible pricing. We will endeavour to see your patients at short notice and with minimal waiting times. We understand that to whom you refer, reflects on you, the General dentist. We have invested heavily to ensure our practice provides all the comforts and technology that you and your patients have a right to expect. Good communication and teamwork in multi disciplinary referral cases is essential. Our specialists and ancillary staff can always be reached. We are happy to speak with you and your patients at any time, in person, by phone or by e mail – which ever suits you best. For Invitation & CPD course dates, please click here.